HOUSTON COUNTY – An incident of domestic violence very nearly turned deadly when a Houston County woman shot her boyfriend on Saturday, Aug. 25. 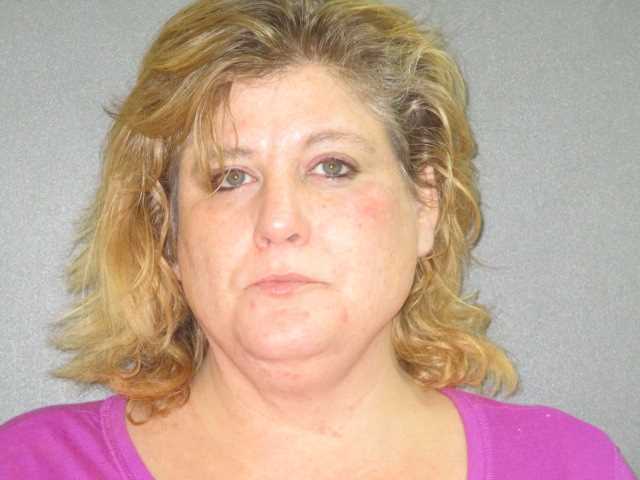 Ella Marie Broussard, 44, was taken into custody and charged with aggravated assault with a deadly weapon following a verbal argument which took a wrong turn. According to an affidavit of probable cause, Houston County Sheriff’s Office Deputy Matthew Van Egmond was on patrol during the evening of Aug. 25 when he was dispatched to a residence located at 1459 CR 2125 in reference to shots being fired and someone brandishing a firearm. “Prior to Deputy Van Egmond’s arrival, dispatch advised that the male subject, Bryan Swoveland, was inside of the residence and had been shot. Dispatch (also) advised Ella Broussard stated she had shot her boyfriend, Bryan Swoveland,” the affidavit reported. When the deputy arrived at the scene of the shooting, he observed Broussard standing in the front yard with her hands up. After she was detained, Van Egmond discovered a .25 caliber handgun in a flower pot on the front porch of the residence. He also “… located Bryan in the back bedroom of the residence with a gunshot wound to the right side of his body in the ribs and in the inner torso of his right arm,” the affidavit stated. As the investigation unfolded, it was revealed Swoveland and Broussard had been in a dating relationship for over a year but had been involved in “… multiple domestic violence incidents in the recent past,” the probable case document stated. Swoveland was airlifted to a Tyler area hospital for further treatment. His condition is currently unknown. Broussard was arrested, transported to the Houston County Jail and booked into custody on one count of aggravated assault with a deadly weapon, second degree felony. Broussard is being held on a $50,000 bond.